If you are a single woman who wants to learn how to attract men who actually want a commitment, you absolutely NEED to be at this exclusive event where we will be creating a POWERFUL intention to move your love life forward. ​In this workshop you will learn the pathway to finding a partner that will ultimately lead to a long term committed relationship. 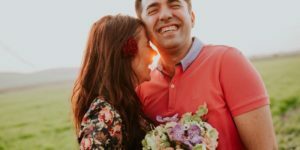 Often, part of the problem that women​ encounter when trying to attract love is that they’re not 100% clear about exactly who it is that they want to attract. Y​ou will be guided through a series of exercises in which you will create a vision of the type of partner and relationship you would like to have. In addition, you will also be making your very own INTENTION CANDLE ($30 value), made with pure essential oils and soy wax. You’ll get to choose from a variety of scents and hand-pour your own candle! After the workshop, you will write your created love “intention” on your very own intention candle to take home with you. You will leave the workshop feeling hopeful, inspired and ready to take on your dating life in a new and intentional way. Exclusive Event! Only 20 tickets available. Get your tickets here. Smart, successful single women who are having trouble finding and keeping a great man are singing praises of dating expert and speaker, Crista Beck. She is the co-creator of the Jumpstart Your Heart Process™ and the creator of the Sure-Fire Dating Formula™, which is a culmination of her 8 years of work as a dating coach. She is best known for teaching women how to open their hearts to love and attract the partner they truly want. Slow North crafts all-natural, botanical products made to complement whole living. They are committed creating a growing line of small-batch products – made with transparent ingredients – that contribute to a healthier home and fuller life. Slow North’s new shop in Anderson Village provides studio space as well as retail space that carries a curated list of local and national handmade goods.